ESA’s spacecraft Aeolus, built by Airbus is now ready for launch. 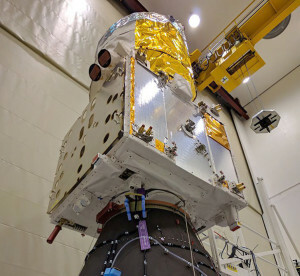 Aeolus, the European Space Agency’s wind sensing satellite, is now ready for its upcoming launch. It will be shipped across the Atlantic on the Airbus vessel “Ciudad de Cádiz” to Kourou, French Guiana, where a Vega launcher will send it to orbit on Aug. 21. The instrument is so sensitive that it could be damaged by a sudden loss of pressure. For this reason, air transportation has to be avoided and for the first time Airbus will transport one of its satellites on-board its own vessel. 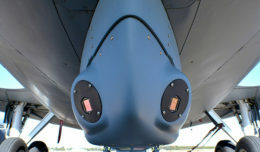 The 1.33-tonne spacecraft, primed by Airbus, features the first ever space-borne LIDAR (LIght Detection And Ranging) instrument called Aladin, which uses the Doppler effect to determine the wind speed at varying altitudes. “Aeolus is a world first with break-through technology that will make a huge contribution to weather forecasting on a global scale. Pioneering a LIDAR instrument in Space is quite a challenge — but a great example of what Europeans can achieve when we work together,” said Nicolas Chamussy, Head of Space Systems at Airbus. Aeolus will orbit the Earth 15 times a day with data delivery to users within 120 minutes of the oldest measurement in each orbit. The orbit repeat cycle is 7 days (every 111 orbits) and the spacecraft will fly in a 320 kilometer orbit for three years.